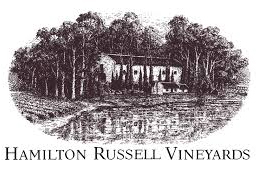 Hamilton Russell wines? Buy Hamilton Russell wines quickly and safely! Hamilton Russell Vineyards is one of the most southerly wine Estates in Africa and one of the closest to the sea – pioneered viticulture and winemaking in the beautiful, cool, maritime Hemel-en-Aarde Valley appellation, just behind the old fishing village of Hermanus. The Estate specializes in producing highly individual, terroir driven Pinot noir and Chardonnay, which are widely regarded as the best in South Africa and among the finest in the New World. Extensive soil research initiated in 1994 identified 52 hectares of stony, clay-rich, shale-derived soil as optimal for the individual, origin expressive style they aim for and all plantings have now been limited to this soil type. Anthony with his wife Olive, winemaker Emul Ross and viticulturist Johan Montgomery are completely dedicated to expressing the personality of the Hamilton Russell Vineyards terroir in their wines. Tiny yields and intense worldwide demand keep the elegant, highly individual, Estate grown Pinot noir and Chardonnay in very short supply.